Gone are vomit, trash, urine, needles, puddles and foul odors; the alley to the east of Cahuenga Blvd., south of Hollywood Blvd. is now a sparkling, paved and planted oasis of civility, thanks to an $800,000 grant and the initiative and idea of UCLA student Sarah MacPherson’s master thesis on alley transformation. 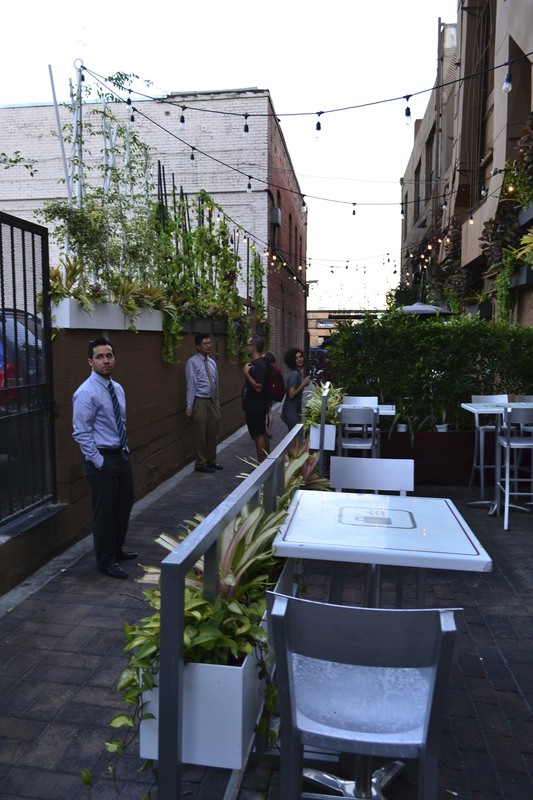 City Councilman Eric Garcetti worked with the now defunct and defunded LA Community Redevelopment Agency to procure an arrangement that allowed property owners, restaurants, and other businesses to work with the LADOT in repaving and landscaping a back alley which is now lined with cafes, wall art, lanterns and lights. 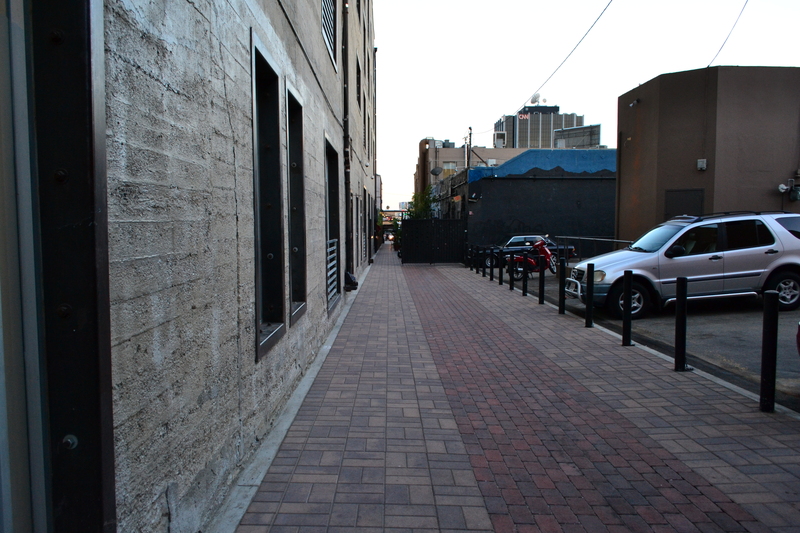 There are 26 other alleys in Hollywood, and the Hollywood Business Improvement District hopes this project becomes a template to redo other forgotten spaces to help civilize LA. 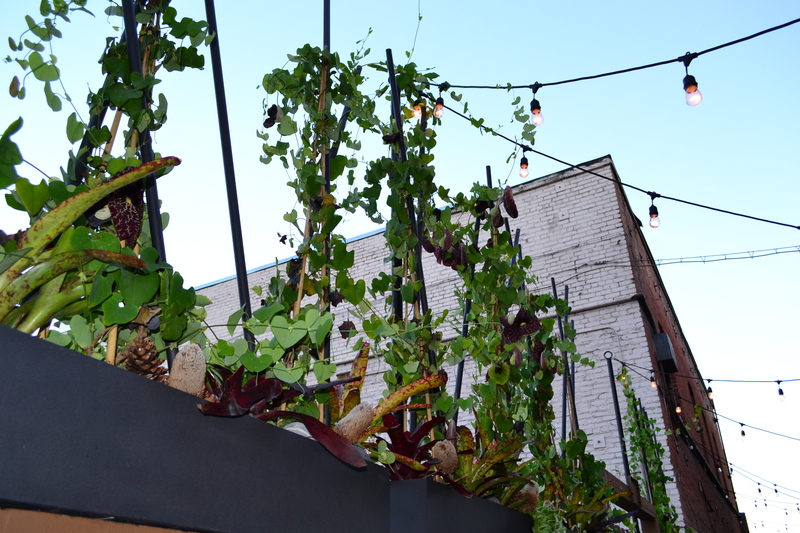 Last night’s dusk tour was arranged by Design East of Labrea, and it began and ended at St. Felix’s Happy Hour.There are more photos on Facebook’s Here in Van Nuys page. Another small step towards a more walkable, sociable, urbane city.